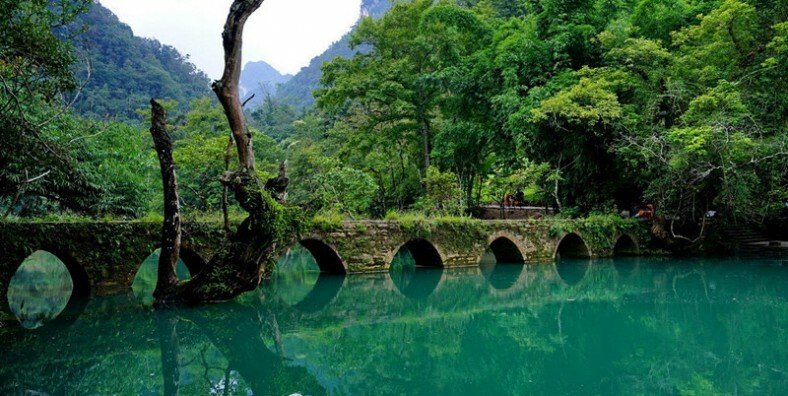 Guizhou is one of China’s most ethnically diverse province. 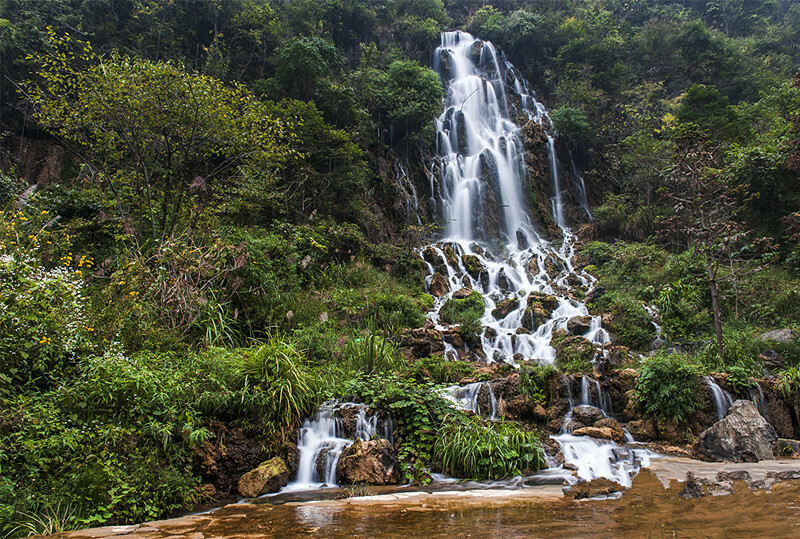 This tour will take you to explore the beauty of Guizhou, such as the Fanjing Mountain, Huangguoshu Waterfall, Xijiang Miao Village, Libo Seven Small and Big Arches, Maling River Canyon, Wanfengling mysterious field, etc. 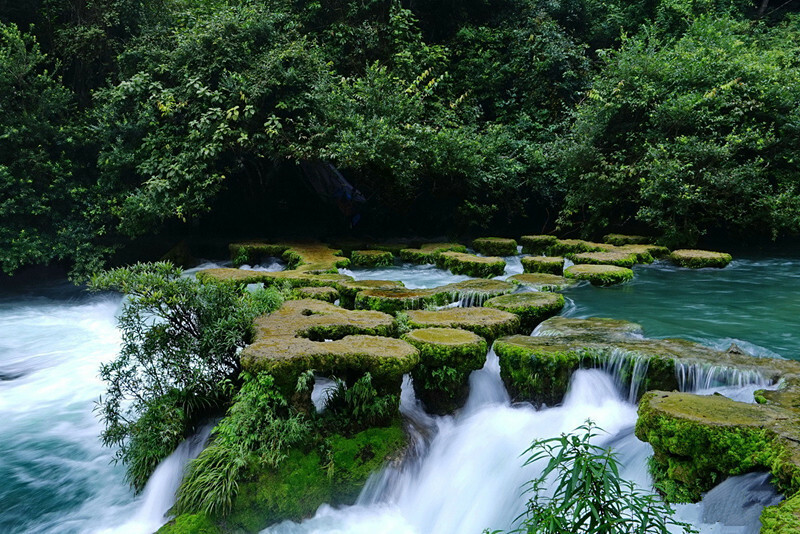 Enjoy the splendid landscape of Guizhou. Witness the simple, yet enticing natural scenery of the villages. After breakfast at hotel, drive about 5 hours to visit Maling River Canyon for about 1.5 hours. After that take 1.5 hours to visit Wanfenglin which consists of the Eastern and Western Mountain-Peak Forests. The eastern forest is featured with the towering karst peak cluster, while the western forest is mainly the karst plateau landscapes. The western mountain-peak forest is composed of many beautiful hills. These hills, together with green fields, winding rivers, quaint villages and lush trees, form the best ecological environment of nature and present rare pastoral scenery of mountain-peak forest. 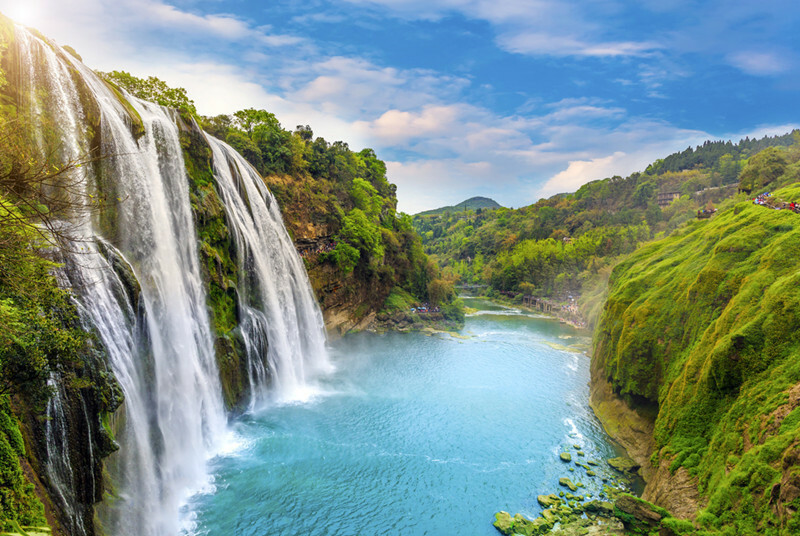 Have the breakfast at hotel, then drive about 2.5 hours to Huangguoshu Waterfall, which is one of the largest waterfall in China and East Asia located on the Baishui River in Anshun. The main waterfall is 67 m high and 83.3 m wide and a 134 m long curtain cave lies secretly behind the main fall. We have an hour to visit it. After lunch, we are going to visit Tianxingqiao Scenic Spot. It is featured various odd limestone formations, caves, lakes, and ‘ Heavenly Star Bridge’. Then visit Steeps Waterfall. After the tour, take 2.5 hours back to Guiyang and check in the hotel. Have the breakfast at hotel, then drive about 4 hours to Fanjing Mountain, which is located at the juncture of the three counties of Songtao, Yinjiang and Jiangkou in northeastern Guizhou Province. The whole reserve is featured with natural sceneries and man-made landscapes. You can enjoy the sea of cloud, dense forests, magic mountain peaks and waters. This is a place like a fairy land. Since the Ming Dynasty, Buddhist temples have been built here, so this mountain has got the reputation as one of the five famous Buddhist Mountains in China. Spend 4 hours to visit Fanjing Mount. After the visit we are going to Zhenyuan and check in hotel. After breakfast at hotel, we are going to visit Qinglong Cave Ancient Architectures. The old architecture complex built on and along the cliff is the famous Green Dragon Cave, which was built in the early Ming Dynasty with a long history of more 600 years. It is the largest and most exquisite ancient architecture complex in Guizhou, melting the cultures of the Buddhism, Taoism and Confucianism. Then take 2.5 hours to Xijiang Miao Village. 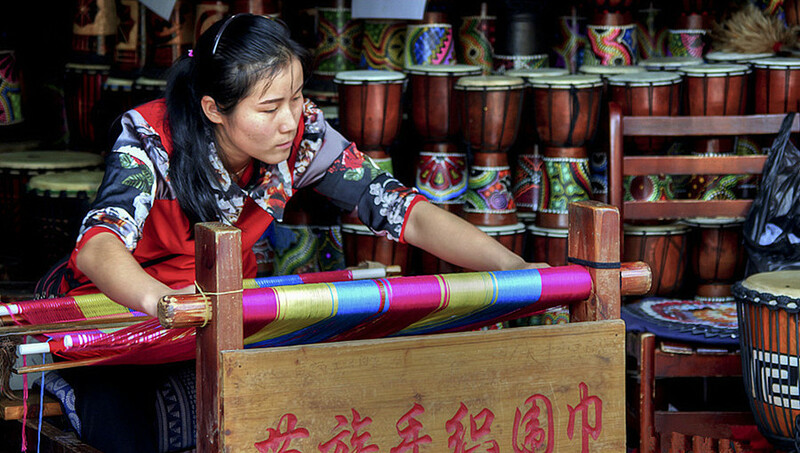 Located on the northeast side of Leishan County, this village is the largest gathering place of the Miao Minority in China and even the world. There are about ten natural Miao ethnic villages existing in Xijiang Town and the Miao culture is best preserved in this area. There are about 1,288 families with a total population of around 6,000 people living there. We have an hour to visit it. Have breakfast at hotel, then we will drive about 4 hours to visit Seven Big Arches. Spend about 2 hours to enjoy the beauty. After the visit, we will drive to Libo and check in hotel. Departure from Guiyang. Service ends.